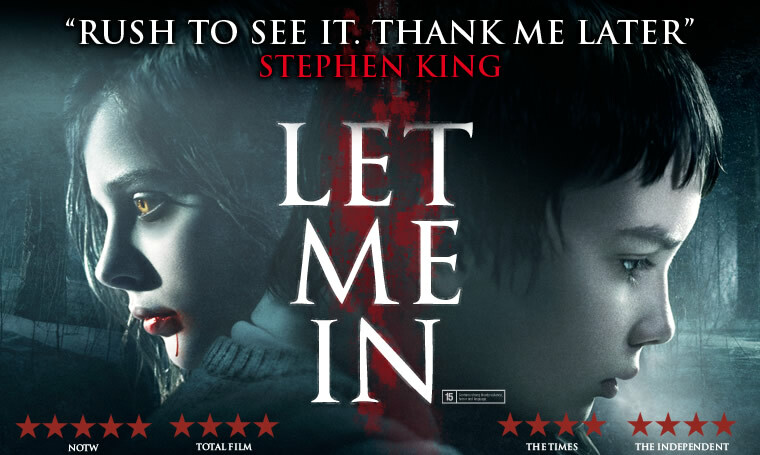 Well it seems the critics are all enthused about the US remake / reworking of John Ajvide Lindqvist’s wonderfully chilling Swedish Vampire novel [and Swedish film] ‘Let The Right One In’, truncated to ‘Let Me In’ for the American Audience. I was fortunate to view the film in London with author John Ajvide Lindqvist in September, and totally captivated by this version, as was Lindqvist. It opens this weekend in the UK and I would urge you to get a ticket because this film has real bite, and even loved by Stephen King – ‘nuff said.